A bedroom is a haven. It's where we can relax after a long hard day at work, read our books, sip a cup of tea and enjoy some peace and quiet. It's also the area that you spend time with your partner, snuggling or chatting about the future. This is why it's so important that your bedroom design is perfect. It should be a well-organised space with only the most functional of items on display. Clothes littering the floors and products littering the surfaces is a no-no. It should also feature tasteful and high quality decor elements and accessories, which enhance the space and make it feel like it is truly yours. Your personality should shine through! To inspire you when it comes to bedroom design, we've put together 13 fabulous images for your to browse through. These aren't any designs, though! Each one of these is by a South African interior designer, showing you just how lekker local can be. 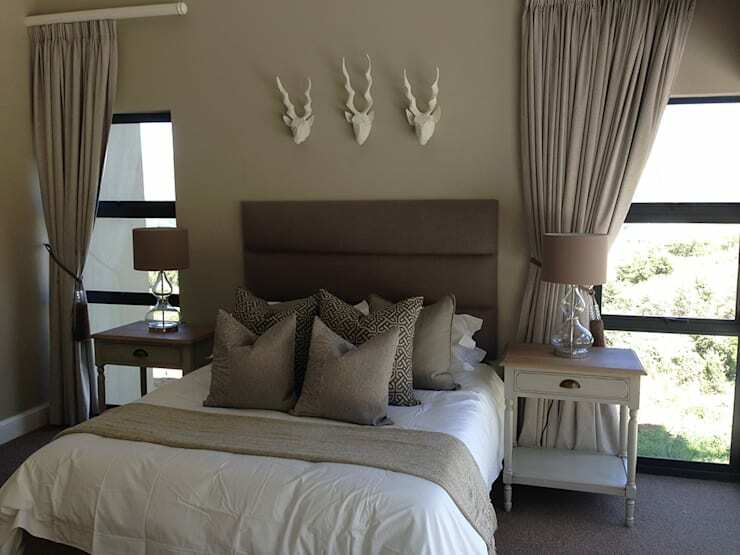 When in doubt, go for neutral colours in a bedroom to give the feeling of peace and tranquility. 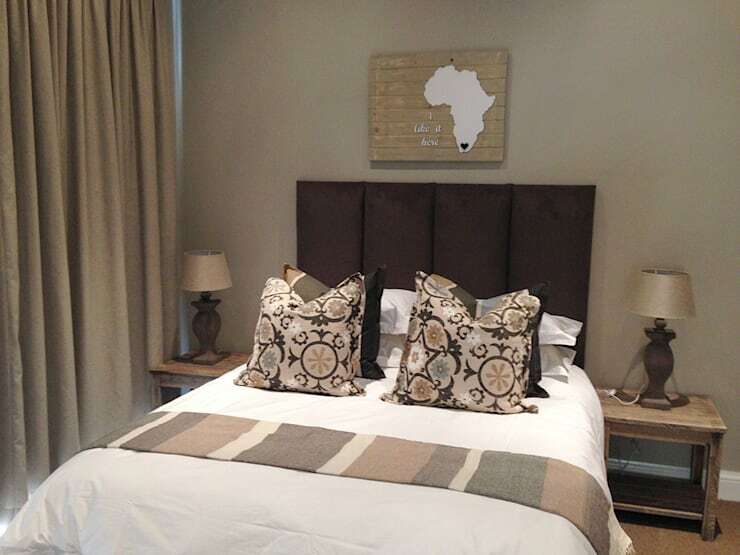 Beige, brown, cream, grey and white are all great tones for achieving a serene environment. Tip: Add a beautiful artwork to the walls for a touch of personality. 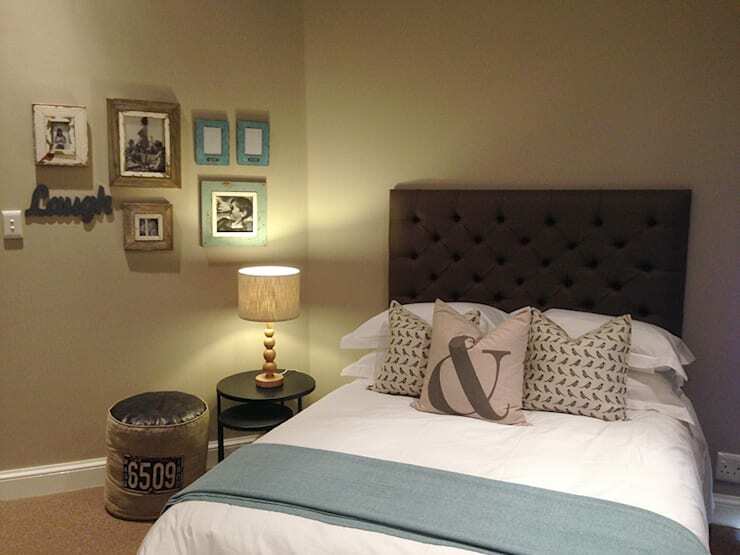 Use bedside lamps or candles to create a beautiful soft glow and a wonderful ambiance in your bedroom. Soft lighting can also be your best friend in a romantic situation. If you prefer a more eclectic design, don't be afraid to introduce some bright colours and bold statement pieces to your bedroom like The Painted Door Design Company have done here. Add soft and plush cushions to your bed for maximum comfort and a functional and stylish touch. Your bed will look so inviting! 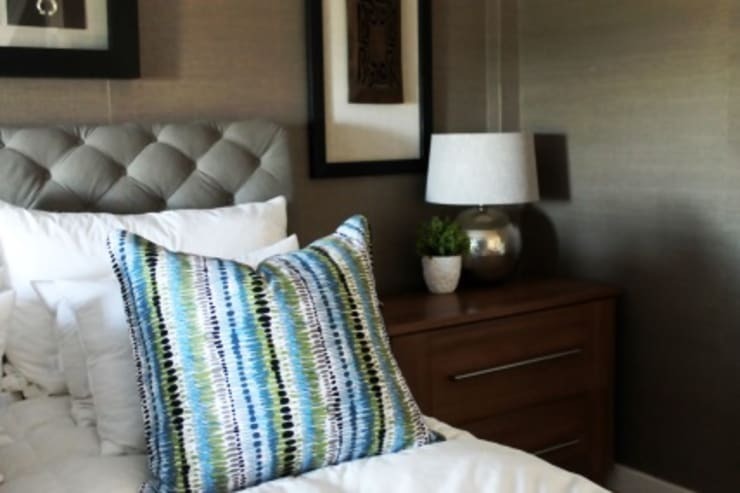 You can also use your cushions as well as your headboard and throw to introduce different textures and tones to your neutral bedroom environment. When you get bored of the style, simply replace! 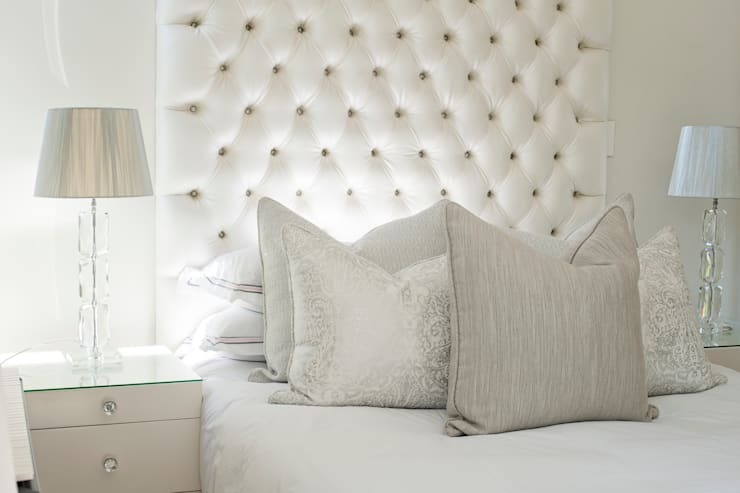 A headboard can add a very luxurious touch to the bedroom space. 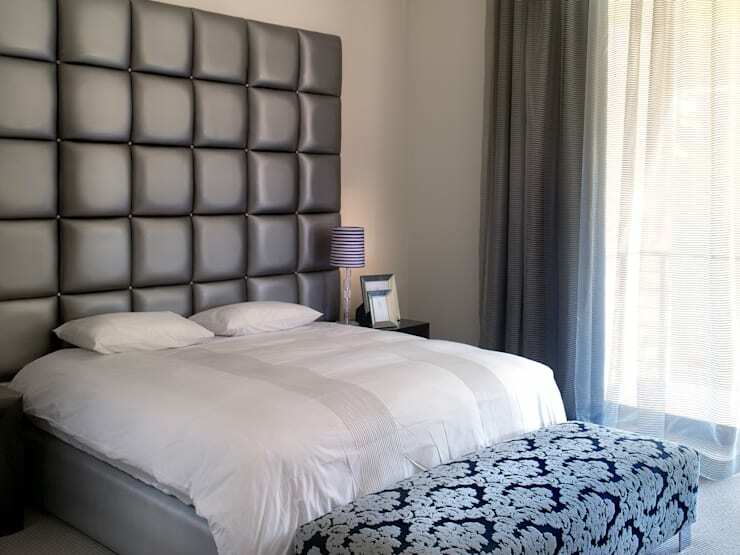 Have a look at 38 of the most original bed headboards ever for inspiration. Natural light can really enhance a bedroom environment, so don't be afraid to open your curtains wide and let the sunlight stream in. You should also open your windows, even in winter, during the day to let fresh air flow through the bedroom space. Use functional items such as the linen and the lamps to bring a funky, charming and even industrial chic design to your bedroom space. If you're a fan of DIY crafts and activities, why not recycle palettes or doors to introduce a refreshing decor element into your home? 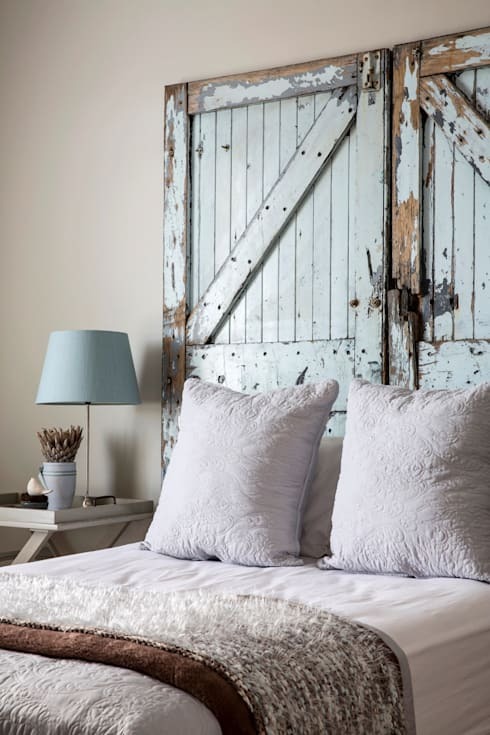 Here we can see how wooden doors have been reused as a headboard, making for a very charming and unique design. 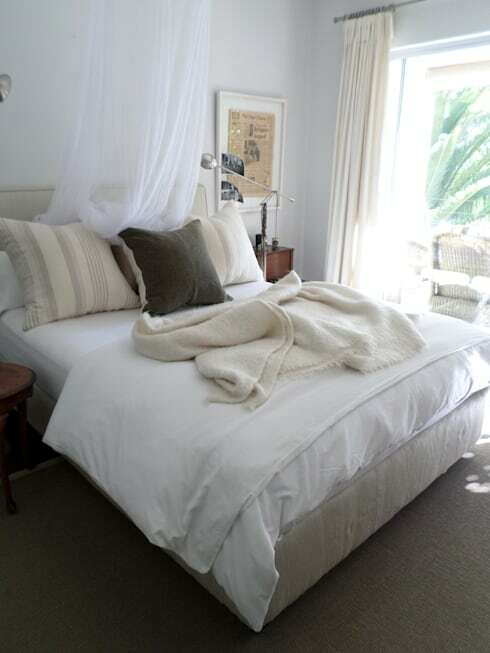 If you're a fan of a clean and minimalist look and feel, don't be afraid to go for an all-white bedroom. Use patterns to introduce different textures into the space for some variety. You don't want to overwhelm your bedroom, but why not paint one of the walls a bright and vibrant colour? You can impact the whole mood of the space! 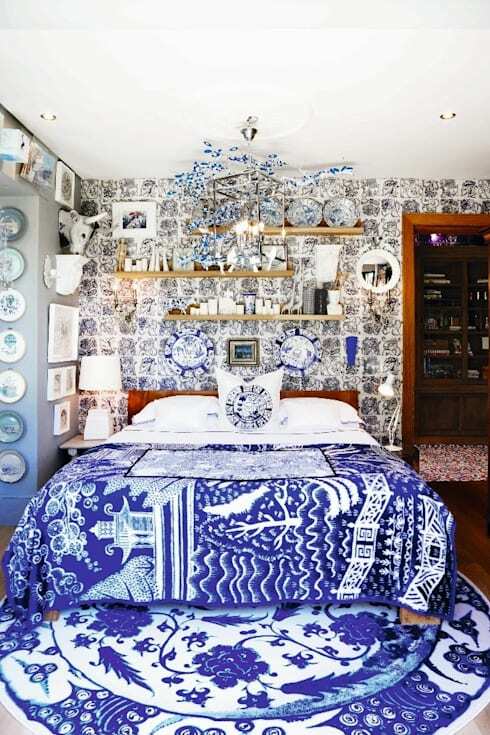 In this very charming and eclectic bedroom, we can see how sometimes it's okay to introduce all sorts of patterns, textures and tones as well as an array of decor items and accessories for a very unique look and feel. Or a fresh vase of flowers. This is the best way to add a subtle form of decor that is as refreshing as it is beautiful. 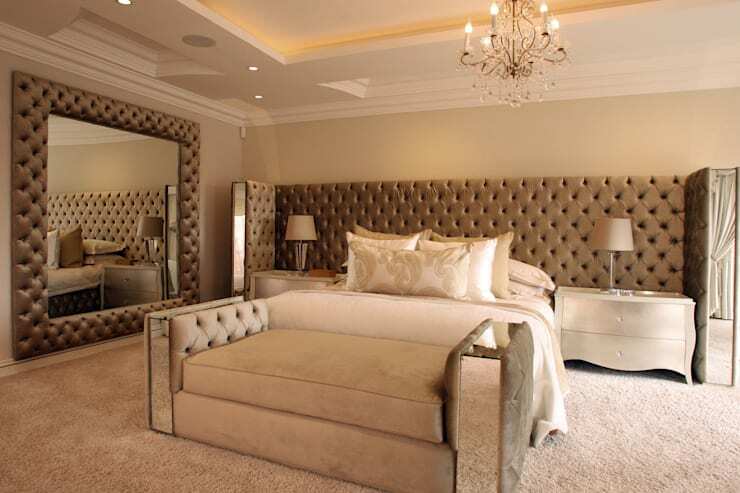 Which bedroom would you choose for your home?